Michael Neaton is the Director of Participant Services at SHA Retirement Group and specializes in comprehensive financial planning. He is responsible for our Financial Elements Financial Wellness program as well as helping participants reach their retirement goals. 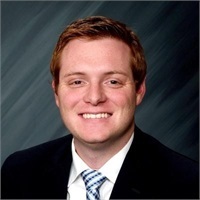 Michael previously worked as a Financial Representative at Thrivent for six years and two years prior with National Planning Corporation, and joined SHA in 2019. He graduated from Rochester College in Pre-Law/Behavior Science. Michael enjoys spending time with his wife, Andrea, and two children. In his spare time he enjoys playing basketball, golf, wood working and travel.